Though one of the smallest islands of the Indonesian archipelago, Bali has miles of world-famous beaches, perfect for sunbathers and surfers alike. 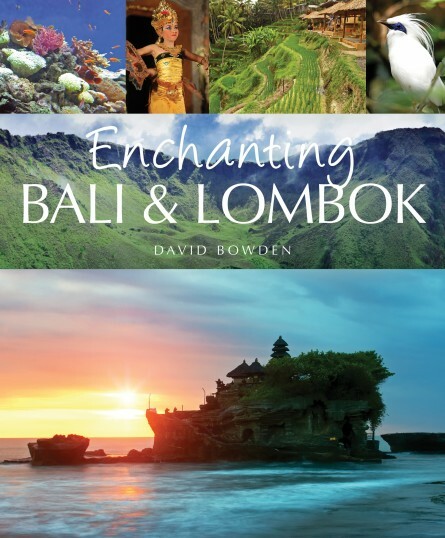 But Bali also has extraordinary inland attractions, including picturesque rice terraces, the towering Kintamani volcano, the holy forest with its wild monkeys and the romantically sited water temple of Ulun Danu. The island has a rich cultural heritage with over 20,000 temples and numerous colourful festivals and ceremonies. A drive through the small country roads will take you through many artisan villages specialising in stone and wood carving; jewellery making and ikat weaving. Bali is also an ideal destination for families with its many child-friendly attractions, such as rafting, cycling, elephant rides and the Bali Bird Park. The neighbouring island of Lombok, just a 20-minute hop from Bali is a much quieter version with stunning beaches and world-class diving. Together, they have all the essential elements for the holiday of a lifetime. Size 260 x 215 mm / 10″ x 8″.